Ideal furnished apartments in a quiet street close to downtown. We just finished a two week Spanish language course at the excellent Baden Powell Institute and had the pleasure of staying at these apartments close by. They are well furnished and maintained. Fully equipped kitchen, living area, bathroom and a comfortable bed. Outside sitting area. Quiet and secure. Many excellent restaurants close-by. It is within the central historic area with all the fine museums and churches within easy reach. Great value for money. We won't hesitate to book again on our next visit to Morelia. Room tip: Rooms on upper floors have better ambient light. I took language classes at Baden-Powell Institute for 2 weeks, 4 hours per day plus conversation club at 6pm. Great, patient, Spanish teachers. Loved the experience. Also stayed in Casa Baden-Powell apartments, just around the corner from the school. Every detail thought out for the 1 bedrm condo I rented. Can’t recommend it highly enough! Thanks. I am staying at an upper end hotel but just saw the rooms offered at Baden Powell, very nice and comfortable. The language school is excellent and I have a lot of experience with Spanish language schools and teachers. I recommend this school to anyone who wants to learn or improve his or her Spanish. Well structured and very good teachers. I thought I could not handle four hours but it went fast and was not overwhelming. Our 11-unit apartment building had been converted from an old house. With white stucco walls and a red-tiled roof, it was attractive and had a sense of character. We especially liked the sunny terrace, where the residents, most of whom were from the upper Midwest and were taking classes at the instituto, gathered in the late afternoon, giving us a chance to socialize a bit. Although we didn't take Spanish classes, we felt welcome. Our host, Eugenio Cortes, was especially warm and helpful. The location is ideal. The street is quiet, but the cathedral is only about half a mile away. Minibuses run up and down the streets nearby, taking you to the anywhere you'd want to go for eight pesos -- around 30 cents US. This review is not about Casa Baden Powell rather about the language school nearby which is under the same ownership. I spend 2 weeks studying Spanish there in July of 2016. The school is perfectly located on the edge of the city's Centro Historico close to markets, banks, attractions, the major city park, transportation and places to eat and go out at night. 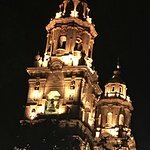 Morelia is a beautiful, safe and wonderful place to learn Spanish. It's off the American and European tourist circuit so immersion and practice is easy in an air of authenticity. There is enough to do and see in the city, as well as several day excursions, to fill up even a long stay. 1. The teachers are excellent. They love the Spanish language and know how to teach it in an engaging and interesting manner. I was so impressed with them. I've kept in touch with several via e-mail. 2. The schools methodology is logical and smart. The day is divided into 4 parts, each almost an hour in length. Grammar, grammar review/excercise, conversation and a special class devoted to some of the more difficult/confusing things about Spanish. Each one is taught by a different teacher. There is no opportunity to get bored, rather it's easy to stay engaged the entire time. This method also allows teachers to monitor your progress within a certain area. 3. The institute has a neighboring English language facility and there is a conversation group at the end of each day with the first part in Spanish and the second in English. It's a great way to practice what you've learned and meet locals...all of whom are learning English for different reasons. A word about weather in summer - after I made my reservation I checked the weather and realized I stupidly chose the rainy season. Well, it's now first choice for subsequent visits. It rains almost every day..but once or twice for anywhere from 5 to 15 minutes, that's it. The daytime temperatures are in the 70's and not humid. No air conditioning was needed, though there is supposedly a period of hot weather just before the summer rainy season. A great place to stay in a fascinating city- and you can learn Spanish, too! 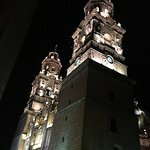 If you're looking for a place to stay in the (fascinating and beautiful) city of Morelia, look into Casa Baden-Powell: they have furnished apartments in the Historical Center, within easy walking distance of a range of many great restaurants, or you can cook your own meals in your own fully equipped kitchen. Also within walking distance are wonderful landmarks like Morelia's main Cathedral and Aqueduct, the Museum of Candy, and more. Plus, while you're there you can study Spanish at the Baden-Powell school- comfortable classrooms, superb instruction at very reasonable prices, wonderful instructors, and very small class sizes. They have conversation from noon to 1 pm, Monday through Friday, and at 6 you can have more conversation with other Baden-Powell students and native Spanish speakers from local universities (they help you withbSpanish, you help them with English). Why stay in yet another hotel when there. 'scan alternative like the Casa Baden-Powell?